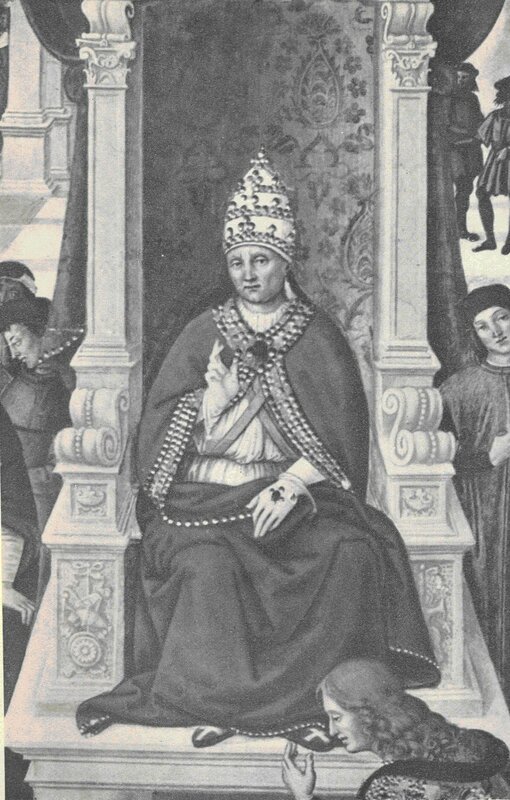 (i) Conciliarism: the theory of supremacy of Councils over the Popes, adopted in the Council of Constance (1414-1418), and confirmed in the Council of Basle (1431-1449) which was in session at his election. He at once ordered its dismissal, but two years later he was forced to recognize it as canonical, after mediation by the German King, Sigismund (1410-1437). In 1438 he transferred the Council to Ferrara and to Florence in the following year, 1439. But some in Basle refused to accept the transfer and continued to meet, electing an antipope. Also in France the Gallican inspired Pragmatic Sanction of Bourges (1438) defended conciliarism.